(MoneyWatch) With Windows 8 arriving with a splash last week, by now you've no doubt heard all the reasons that you should upgrade to Microsoft's (MSFT) new operating system, as well as why youmight want to avoid it. And collectively the Internet seems to have decided that the software giant committed a cardinal sin in designing the platform: Removing the traditional start menu. Now the only way to run a program is to trigger the invisible start button (the lower left corner of the screen is now "naked") and navigate to the new "modern" Start Screen. So what if you want to upgrade -- or you have no choice -- but still want the old Windows start menu? Although Microsoft can't help, there are a number of third-party programs you can use to restore it yourself. Actually, it's not really the old start menu -- that's gone. But the following two options still represent a good alternative for anyone who'd rather use the menu. Start8. No doubt the best of the start-menu options is Start8 from Stardock. I've previously gushed about Stardock (including this post on Fences, an outstanding desktop organizer). 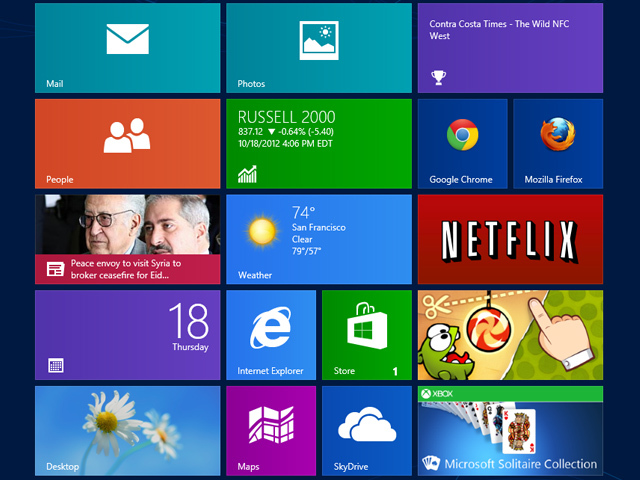 Stardock has also recently unveiled Start8, a utility that restores a familiar-looking start menu to Windows 8. You get the Start orb back, and clicking it reveals a menu that looks and behaves very much like the one you knew back in Windows 7. Even cooler: It gives you access to both desktop and modern applications. The illusion isn't perfect, though: Start8 doesn't have all the configurability of the real menu, in part because it doesn't hook into the operating system as seamlessly as Microsoft's real deal did. But if you can overlook that, you can get your old menu back for $5. Classic Shell. Looking for an option that doesn't cost anything? Then try Classic Shell, a free, open-source utility that can mimic both the Windows 7 start menu and the older Windows XP version. Classic Shell is highly configurable, and great for folks who want to tweak their environment, but it's also a bit twitchy and takes some getting used to. Most disappointing, it doesn't list modern apps, only desktop ones. Of course, I do believe that too much is being made of the start menu's disappearance from Windows 8. The start screen is attractive and functional, and your keyboard's Windows key still takes you directly there. You can still pin your favorite programs to the desktop's task bar, which I am willing to bet is how most people run most of their software anyway. But if dealing with a new way to run your apps is too much to bear, you can always lean on these other options.